Finally. Thank Amir for this. If my favourite films of 2012 had a theme it would be, Look back in sadness. So many of them were throwing their glances back to the past, whether through actual period pieces stuck in the past or characters in contemporary times stuck in days gone by. Amidst the sadness were two happier movie experiences, one in particular rooted in joy. I didn't like 2012 as I liked 2011 but it's such a churlish, random, comment to make because in the midst of all the films I wanted to like more but didn't (Silver Linings Playbook, Zero Dark Thirty, Life of Pi) I found a score of films to appreciate for things done right and even for things done (ostensibly) wrong. So, I even made a top 11 instead of a top 10 because I've never discussed #11 on the blog and it deserved some attention. This is the perfect example of a film better than the sum of its part to the point that I think of the things that I was less than enthused about and then think about how I respond to the film as a whole and realise I don’t care much about that there are things I don’t love. (That’s an unwieldy opening sentence. Onwards.) The film is almost obsessively plot-heavy and it is home to some unusual structures but the goodness of it is that it all comes together to form a beautiful, cohesive whole. It’s working on two levels and, to great, effect both of them – the rat-tat-tat action focused part and the more sombre, darker, moralistic part – are satisfying and not just satisfying but smart and provocative. 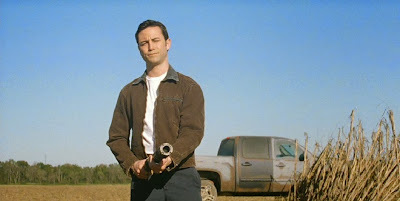 Looper raises questions with a savvy that’s intriguing because it’s not always willing to take the easy route it. Its ending is a punch to the gut but still that it leaves so much ambiguous is not a flaw but signs of a genuine, tricky, titillating core. I’ll admit, I still want to have a conversation on just how much about Tabu is a postcolonial criticism edict because I feel much of it is going over my head in that regard, but ultimately who cares? Even if I’m missing out on some subtext the text is definitely significant enough for me to include it here. 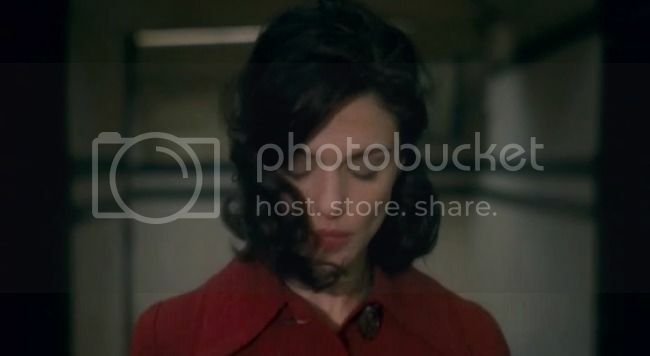 It’s the runner-up to Holy Motors for my Audacious 2012 Cinema award but no part of Tabu feels risky for its own sake or even like a chore in watching even though there’s that quiet murmur of “this is important stuff” running through. I hate that so much of my critical response to it ranged from, “Oooh, that’s a gorgeous shot” to “Wow, that’s some nice photography” but such is such. There’s so much going on with the way memory works and the way the past seeps injudiciously, against your wants and sometimes devastatingly into the present and the weird way things are remembered. And it’s sad, but it doesn’t carry itself with sadness instead going for an offbeat humour that makes its observations on the human life almost bathetic. Which is….well, which is depressing, really. But I told you, this top 10 is a bleak group. I’d presume this is my most contentious entry on the list, but when has that ever stopped me? I can point out the exact moment I knew this movie was working for me. Even after the horrific brilliance of that “Lovely Ladies” into “I Dreamed a Dream” sequence (hey, Frances Ruffelle) I wasn’t completely compliant. I was liking it, even loving parts but there’s a moment after Valjean rescues Cosette from the Thenadier’s and the choir at the church begins to sing in counterpoint to Valjean as he speaks to the priest. Like any overzealous musical theatre geek I have many feelings (both positive and not) about Alain Boublil and Claude-Michel Schonberg’s score and this has never been THE musical for me, so I was not immediate with my love. But that moment, in all its innocuousness, moved me in a way I didn’t expect and I was completely on board after. From that ace bleed in into “Stars” to the film making good on the new song by having Cosette reprise it at the film’s end. Hooper’s film wears its hearts on its sleeves, sometimes to its detriment. And, true, it’s putting it all out there and right in your face. But, I appreciated that and not just appreciated it, I loved that about it. It might not be for you, but it was definitely for me. I’ll admit, I had my antennae way up regarding this one. What’s that, you say, a film with no main speaking parts for women that’s literally just a bunch of men standing around talking? And yet… Once Upon a Time in Anatolia worked so well for me even as it has been the 2012 film I’ve had the hardest time articulating my thoughts on, hence no review. It’s in part because Ceylan’s not-quite-a-murder-mystery is so wide in its scope, it is about nothing specific really but it is about everything in its way. A group of men gather one evening in search of the buried body of a murder victim, but the murder becomes secondary to the way these men interact with each other and the ruinations they have on human life. It’s a fantastic thing to attempt at dissecting and really this should be an example of a film’s reach exceeding its grasp except for the fact that the film even when it feels as if it’s been on the nose with its morals and symbolism works exceptionally well. The film is long and it might seem like nothing much happens, but it’s a classic (excellent) example of the banalities of life and “masculinity” portrayed to better effect on screen. It is sad, it is unfortunate, it is random (that apple falling down the slope) but it is also a powerful thing to espy. I never managed to review this, shame on me, so this shall have to suffice. When I finished seeing Cloud Atlas I wanted to run out and tell everyone I know to see it. So, I did the second best thing, I emailed Jose. How do you measure your love for a movie or weight that to its relative goodness? The conversation on Cloud Atlas (worst movie or best movie) was at a feverish pitch by the time I saw it even though I had no idea what it was about. And I saw it and I was moved. I was never bored, I never checked my watch and although revealing ones themes and emotions in such broad strokes is frowned upon the transparency of Cloud Atlas’s ideals works so well for me. Gumption in itself is not necessarily outstanding but the sheer risk of Cloud Atlas comes off for the better when the sincerity of its ideals and the true effect of its delivery is considered. It’s something special in that way. In a year of sadness, sometimes muted and sometimes not, this was the most devastating for me. Oslo August 31 is a tale of loneliness and of growing away from everything that you knew, and everything that used to know you. And, it’s to Trier’s credit and talent that the film never descends into the mawkish or insular. Anders journey is a specific one (in that way very similar to my #1) but it’s also one which is familiar in its beat. For, which adult hasn’t had moments of striking disconnect with things we once were so familiar with? That our day with Anders is one so rooted in melancholy and eventual tragedy, seemingly almost senseless as it is unavoidable, leaves a distinct stain of overwhelming sadness. And yet….yet, Trier’s every frame is imbued with a sensitivity and grace that the movie needs to become something more than miserable. It still leaves me distraught, but grateful for it. I think Anna Karenina was for me what the year’s summer blockbusters were for everyone else. It was the movie I was anticipating the most so much that I was nervous about it to a high degree and I still remember it as the most exhilarating film experience of the year. From the opening bars of the overture and the scrape of the barber's knife, I knew it was for me. The headiness of the first half an hour, the gorgeous imagery of the next hour and the tragedy of the finale, it’s all still dancing about in my head. From here on out I love all the films almost equally and I did versions of this list with each of them as my #1. Anna Karenina ended up here, and of the three it is certainly the one with most...issue, but the thing about things you come to love is that you love them more for its risks that don’t pay off as well as for the things it gets so beautifully right. I impishly titled my review of this one “Into you like a train”, but it’s not a unfair title. Anna Karenina, the film, is just as injudicious as an oncoming, murderous train the way it plays (gloriously) fast and loose with my emotions. And so effectively, too. This was the first “good” movie I saw of 2012 and each time I thought I’d seen something I loved more, I’d re-watch it and change my mind or remember the aching way that something as character specific as Hester’s vaguely misguided devastation over Freddie becomes something so much larger than that. True, any iteration of this list with either Wright, Anderson or Davies’ films triumphing as #1 would look good but for right now I can’t but put The Deep Blue Sea at the top. It feels right that in a year of films looking back it earns the top spot when a day in the life of this woman becomes a series of nostalgic remembrances to when things were better and worse. The film is so easily memorable just for Weisz’s perfect performance that it becomes unfair how the pure beauty of the film becomes forgotten until I try to remember just why it moves me so much, and it’s not just its leading lady. From that silent short-film which opens it to the sombre almost kitchen-sink drama which follows, The Deep Blue Sea aches with the signs of a woman and a world trying to right itself again and it makes sense to work at it from an allegorical point but even in its specific Hester focused top layer it seems rich enough. I may have responded to Anna Karenina more on the visceral level, to Oslo August 31 on a personal one, or to Moonrise Kingdom technical excellence more but no 2012 film made me feel as much as this. I feel selfish and territorial about it, I can share the others but this one, this is mine. And, if that’s not a sign of a #1 film, I don’t know what is. All of my award categories are HERE, both the Oscar-y ones and the non-traditional ones (best use of music, for the win). Random things to observe, for example Once Upon in Anatolia is number six on my list but for every category it makes the top 5 of it's my favourite. Thanks for reading, months after the fact. Any surprises? It's always nice to see some love for Looper. That is such a great film. I've had Holy Motors in my instant queue for awhile now, I really need to watch it. I'm just wary because I read so many reviews that said they hated the ending. I love these, and while I haven't seen Cloud Atlas or Tabu yet, I wholly agree with the rest of your list (I loved Les Mis more than most) and am so happy to see films like Oslo, Anna, Moonrise, Damsels and Deep Blue making your list. It really goes to show that the awards 'end of year' push for all these big budget films really can't hold a candle to some of the year's earlier releases. "I feel selfish and territorial about it, I can share the others but this one, this is mine." Ha! I love this, man. Such a true - a completely true - sentiment that I don't think movie fans always admit to. We not only become enamored with our favorites, but protective. And we want to preach their gospel. Preach on. Bravo. A lot of movie memories came back to me reading your comments—I haven't done "Cloud Atlas" either, shame on me—and you gave me fodder for seeking things I've missed out. I, too, loved "Holy Motors" when I saw it this year, and still strikes me like lightning every so often. Companions become alarmed. thanks folks for even bothering to read this. brittani: holy motors was a weird experience but it also was a lovely one. i think it's sort of an essential viewing. fisti so true, so many of the films that 2012 was pushing me to love paled in comparison to earlier, smaller releases. glad to have another les mis lover. nick i think ultimately movie love, like any sort of love, is about that inexplicable but overwhelming feeling of fidelity. and it's so nice when you find a movie you feel that way about. yojimbo my older sister who's only an incidental movie fan was a lover of that one, too. we had so many conversations about it afterwards.